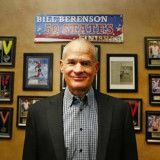 Texas attorney William K. 'Bill' Berenson has almost 40 years of personal injury experience representing thousands of clients in motor vehicle collision cases. He has collectively recovered millions in financial compensation for victims and their families due to the negligence of others. Fort Worth Attorney Berenson has tried dozens of car crash cases in jury trials, and settled thousands of cases before trial. Bill has been certified by the Texas Board of Legal Specialization in Personal Injury Trial Law. He is a lifetime member of the Multi-Million Dollar Advocates Forum, a select organization that recognizes attorneys who have argued or settled individual client cases for multi-million dollar amounts. Attorney Berenson was acknowledged as one of the best personal injury lawyers in Tarrant County by other lawyers, and Forth Worth Magazine. He is a member of the Texas Trial Lawyers Association and Tarrant County Trial Lawyers Association. Attorney Berenson is actively involved in the local Forth Worth community, donating time and money to support Southern Methodist University, local schools, the Forth Worth Animal Adoption Center and Human Society of North Texas, Mothers Against Drunk Driving (MADD), the Boy Scouts of America, and other organizations. Mr. Berenson's law firm endowed a total of $5,000 in college scholarship awards to students. Berenson is an experienced marathon runner who has completed dozens of 26.2-mile races.